Ready for another decorating tutorial? 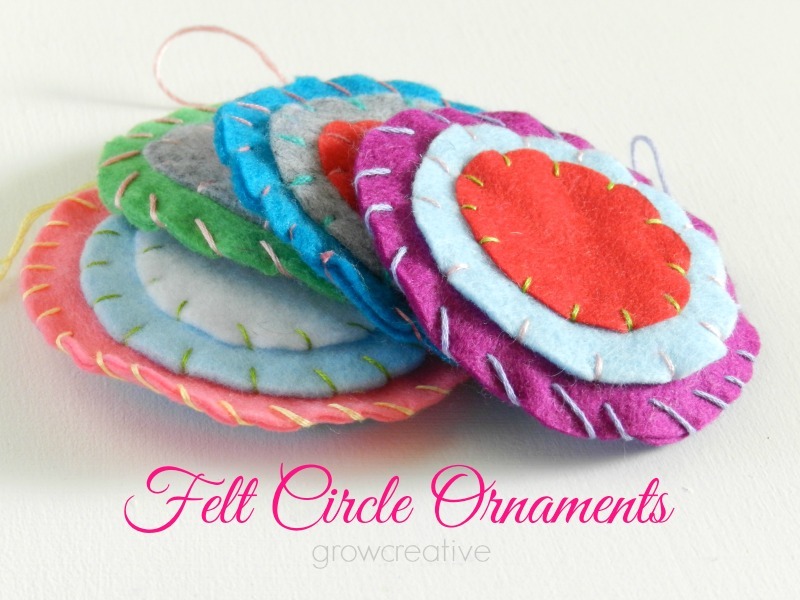 I have this stack of old felt that's been sitting in my art room for a while and I finally thought of a good project for it... some soft and kid friendly ornaments! Step 1: Cut three sizes of circles out of felt. Cut 2 large circles of one color, two medium of another color, and 2 small of another color. Step 2: Place a small circle on top of a medium circle. Make sure it is centered and stitch the small circle to the medium using colored embroidery floss. Fasten off. Repeat with the other small and medium circles. Step 3: Stitch the medium circle to the large circle with another color of embroidery floss. Fasten off and repeat with other set. Step 4: Make a hanging loop. Step 5: With wrong sides together, stitch the two large circles together using a whip stitch around the edge of the circles. All finished! Enjoy the fun colors and the decorating!